Forever a stylish choice hoop earrings belong in the jewellery arsenal of any fashionable woman. 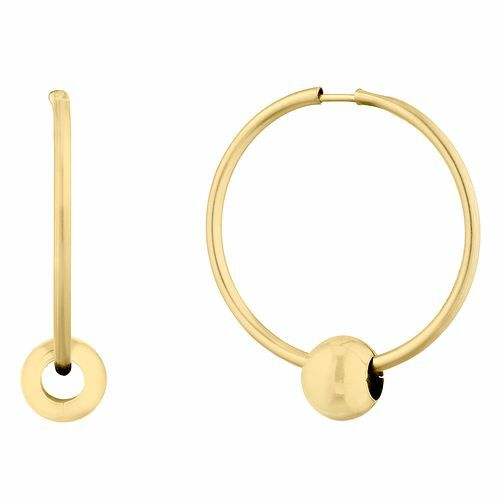 These 9ct Yellow Gold Hoop with Ball Slider Earrings, showcase a ball detail set on the chic hoop design. These earrings will look beautiful paired with your favourite daytime looks and provide that final finishing touch. 9ct Yellow Gold Hoop with Ball Slider Earrings is rated 5.0 out of 5 by 1.